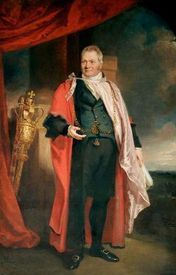 Sir Sydney Hedley Waterlow was an English philanthropist and politician, principally remembered for donating Waterlow Park to the public as "a garden for the gardenless". It stands alongside Highgate Cemetery where Karl Marx is buried. I think Karl must be very happy to have such a beautiful park next door, and would love to have shaken hands with Sydney. He was born in Finsbury , the son of James and Mary Waterlow, and brought up in Mile End. Educated at St Saviour's Grammar School, he was apprenticed to a stationer and printer and worked in the family firm of Waterlow & Sons Ltd, a large printing company employing over 2000 people. From that he moved into finance and became a director of the Union Bank of London. He was a Commissioner at the Great Exhibition in 1851 and a juror at the Paris International Exhibition in 1867 for which he was knighted. 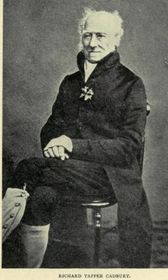 He married Anna Maria Hickson in the Spring of 1845. She was born on November 19, 1824, the daughter of William and Matilda Hickson. They had at least seven children ( see the 1861 census below) Hilda being born the year after. Sadly, Anna Maria died in the 1870s. 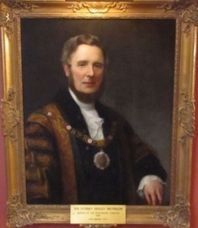 He started his political career as a Councillor in 1857 (when he introduced telegraph links between police stations). In 1863 he became an Alderman and began his philanthropic works. 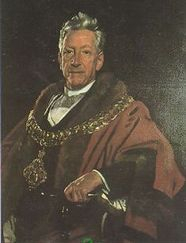 He was chairman of the philanthropic housing company The Improved Industrial Dwellings Company, which built the Leopold Buildings amongst others. He also worked for many other charities. 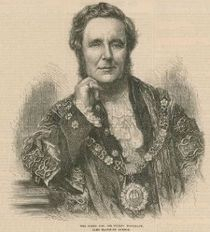 He was a Sheriff of the City of London in 1866 and Lord Mayor of London from 1872–1873, and was created a Baronet on 4 August 1873. 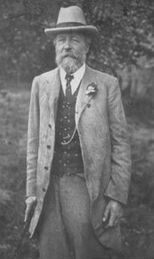 In 1870, he bought large areas of land in Kent, including the village of Fairseat (near Stansted), a major portion of Stansted as well as other pieces of land extending from Wrotham to Meopham. The parts of the estate were linked by a small bridge bearing the family crest over Trottiscliffe Road. In 1887, he built Trosley Towers on the crest of the escarpment on the North Downs, to the east of Trottiscliffe Road. Two drives approached the house, and it was surrounded by wooded grounds. Later, other private drives were constructed, including Hamilton Drive which still survives within the Trosley Country Park and runs from the site of the old House to Commority Road. 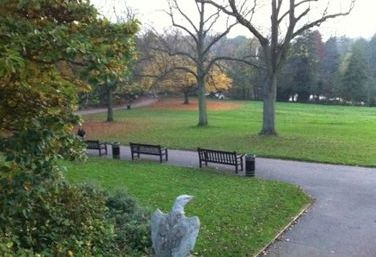 In 1872 he gave Lauderdale House (now in Waterlow Park) to St Bartholomew's Hospital to be used as a convalescent home for the poor, staffed by nurses supplied by Florence Nightingale, and in 1889 he gave the surrounding park to the London County Council. His former house next to the park, Fairseat, became Channing Junior School. 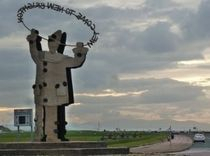 He was a Liberal Member of Parliament for Dumfriesshire from 1868–1869, when he was unseated on the grounds that he was a government contractor, his firm having taken a contract without his knowledge. 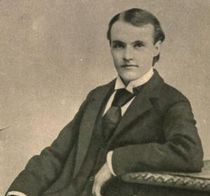 He then sat for Maidstone (1874–1880) and Gravesend (1880–1885). 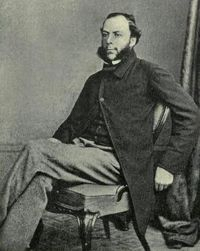 His 4th son, David Sydney Waterlow, was Liberal MP for Islington North. The artist Ernest Albert Waterlow was his nephew. When Sir Sidney died in 1906 at his Trosley Towers estate, Wrotham, which passed to his son Philip (who thereby became entitled Sir). When Sir Philip died in 1931, the estate was sold off. Some of the houses (of the estate) were bought by tenants, one of these was Pilgrims House, with six acres of land, at the bottom of Trottiscliffe Road which went for £600. Trosley Towers and the woodlands around it, were sold to 'Mr E. E. Shahmoon' in 1935. In 1936, Mr Shahmoon had Trosley Towers demolished and had Hamilton Lodge built along with adjoining stables. One story suggests that the Lodge and stables were built to accommodate the Shah of Persia's racehorses on his visits to England. William Lever started work at his father's wholesale grocery business in Bolton. 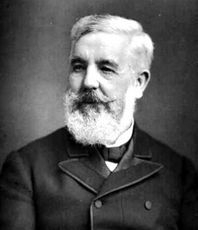 In 1886 he established a soap manufacturing company, Lever Brothers, with his brother James. It is now part of Unilever. It was one of the first companies to manufacture soap from vegetable oils, and with Lever's business acumen and marketing practices, produced a great fortune. 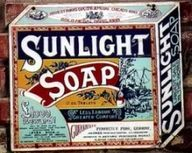 Sunlight Soap, Lux and Lifebuoy were some of the many well-known brands. In politics, Lever sat as a Liberal MP for Wirral and then as a Peer (as Lord Leverhulme). 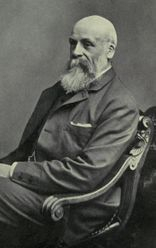 He was an advocate for expansion of the British Empire, particularly in Africa and Asia, which supplied palm oil, a key ingredient in Lever's product line. William Lever was born on 19 September 1851 at 16 Wood Street, Bolton, Lancashire. 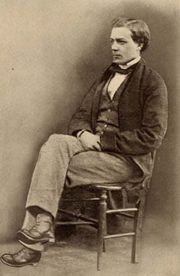 He was the eldest son and the seventh child born to James Lever (1809–1897), a grocer, and Eliza Hesketh, daughter of a cotton mill manager. 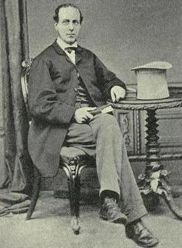 He was educated at Bolton Church Institute between 1864 and 1867 and worked in the family grocery business from 1867 until he was given junior partnership in 1872. Lever was a member of the Congregationalist Church and applied its ideals in his business life. On 17 April 1874 he married Elizabeth Ellen Hulme, daughter of a draper and neighbour from Wood Street, at the Church of St Andrew and St George (then Congregational, now United Reformed) in Bolton. 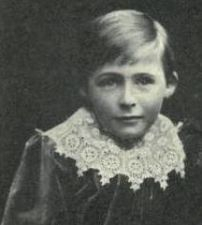 William, their only surviving child, was born in 1888. 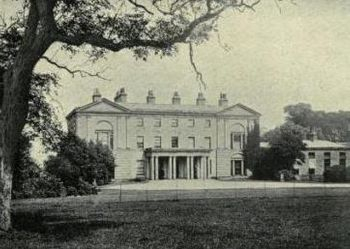 Lever moved to Thornton Hough in 1888 and bought Thornton Manor in 1893. He subsequently bought the village which he developed as a model village. His London home was The Hill at Hampstead, bought in 1904. He bought and demolished neighbouring Heath Lodge in 1911 to extend the garden. The Hill was his main home from 1919. In 1899 he bought Rockhaven in Horwich and the Rivington estate in early 1900. He built a wooden bungalow on the slopes of Rivington Pike in 1902 which was burned down in an arson attack in 1913 by suffragette, Edith Rigby. Its stone replacement was his summer home until his death. In 1887, Lever looking to expand his business, bought 56 acres of land on the Wirral in Cheshire between the River Mersey and the railway line at Bebington. This site became Port Sunlight where he built his works and a model villageto house its employees. From 1888, Port Sunlight village offered decent living conditions in the belief that good housing would ensure a healthy and happy workforce. The community was designed to house and support the workers. Life in Port Sunlight included intrusive rules and implied mandatory participation in activities. The tied cottages meant that a worker losing his or her job could be almost simultaneously evicted. Even workers' social lives were policed from the head office. W.H Lever stated "a good workman may have a wife of objectionable habits, or may have objectionable habits himself, which make it undesirable for us to have him in the village." Lever began collecting artworks in 1893 when he bought a painting by Edmund Leighton. Lever wanted to share his collections with the public. 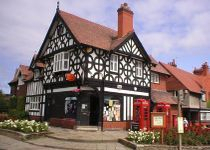 At first he used the library and then Hulme Hall in Port Sunlight Village for small displays. But he needed a bigger and more impressive building for his collections. Lever had learned his new business methods, especially marketing, from America. The idea for his art gallery may also have come from America. Many American business tycoons built galleries for their own art collections and presented them to the public. Lever was the only British tycoon who did this. Lever personally selected works of art from his huge collection for the gallery. He also bought new works specifically for public display. He explained, "I have to cater for all tastes" He founded the Lady Lever Art Gallery in 1922, dedicated to his late wife. Much of Leverhulme's art collection is displayed in the gallery which houses one of the finest formed by an industrialist in England. In his later years, Leverhulme became deaf and kept a klaxon horn by his bed to wake him at 5 am. He took up ballroom dancing late in life. Throughout his life he thought the only healthy way to sleep was outdoors in the wind and the rain. 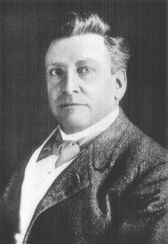 Leverhulme was involved with freemasonry and by 1902 was the first initiate of a lodge bearing his name, William Hesketh Lever Lodge No. 2916. He later formed Leverhulme Lodge 4438. He saw freemasonry as a tool to reinforce the hierarchy within Lever Brothers. He was a founder of the Phoenix Lodge 3236 whilst an M.P in 1907 and a founder of St. Hilary Lodge No. 3591 founded 4 May 1912, then Past Pro-Grand Warden and Immediate Past Master. He was appointed Senior Grand Warden of the Grand Lodge of Mark Master Masons of England in 1919 and co-founded a number of lodges. He was Provincial Senior Grand Warden of the Provincial Grand Lodge of Cheshire. 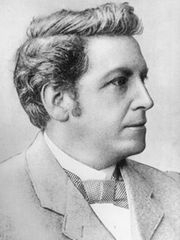 Lord Leverhulme died aged 74 of pneumonia at his home in Hampstead on 7 May 1925. His funeral was attended by 30,000 people. He is buried in the churchyard of Christ Church in Port Sunlight, Cheshire. William Lever made the celebrated quote about advertising, "I know half my advertising isn't working, I just don't know which half." John Cadbury was the fourth child of ten born to Elizabeth and Richard Tapper Cadbury, on 12 Aug 1801 in 92 Bull Street Birmingham. Richard Tapper had started business as a Linen Draper & Silk Mercer in Birmingham in 1794, with a fellow Quaker, Joseph Rutte, and featured in Benjamin Robert Haydon's painting of The Anti-Slavery Society Convention, 1840. In 1796, he married Elizabeth Head (born 7 Mar 1769) of Ipswich. Richard was born on 6 Nov 1768 in Exeter, Devon, son of Joel (born 17 Jan 1733) and Sarah Cadbury (born on 18 Jun 1736) Richard had five siblings and two half-siblings, his father Joel having married twice. Richard's middle name, Tapper, was his paternal grandmother Hannah's maiden name before she married his grandfather John Cadbury, born in Hemyock on 01/10/1696. Hannah was born on 29 April 1725. Joel had been their youngest and only surviving child of four. 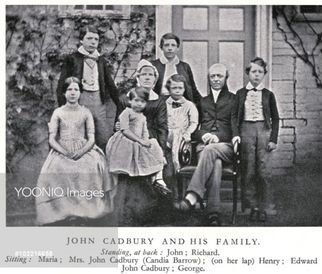 John Cadbury was descended from a line of West Country yeomen and woolcombers, the 3rd child of James Cadbury, churchwarden in Hemyock, born circa 1664. James father was also called James, born circa 1633, and his mother was Elizabeth Upton. James' grandfather was James Cadbury of Culmdavey and his great-grandfather was Lawrence Cadbury, born circa 1564, the son of James, also from Culmdavey, who died circa 1588. The father of this James, and at the very top of our tree, was William Cadbury , born 16 June 1557, and married to Agnes, born 13 Aug 1564. They lived at Uffculm. Thank you to Richard Barrow Cadbury's "The Cadbury Family Book" for researching this family tree, and to his son William A Cadbury for collating it in 1904. Returning our focus to his son John ... After Quaker school, John worked in a Leeds tea shop in 1817, as an apprentice to Broadhead & Cudworth. This was followed by 12 months with Sanderson & Fox of London. As a Quaker in the early 19th century, he was not allowed to enter a university, so could not pursue a profession such as medicine or law. As Quakers are pacifist, a military career was also out of the question. So, like many other Quakers of the time, he turned his energies toward business. In 1824, his father lent him the money to open a one man grocery shop next door to the family house in Bull Street. John Cadbury hoped chocolate would tempt us away from the demon drink. And the famous family company he created cared as much for its people as its profits. Experimenting with his mortar and pestle, John Cadbury produced a range of cocoa and chocolate drinks, the latter with added sugar. The products were sold in blocks: customers scraped a little off into a cup or saucepan and added hot milk or water. 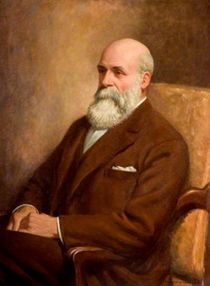 John Cadbury had a considerable flair for advertising and promotion. 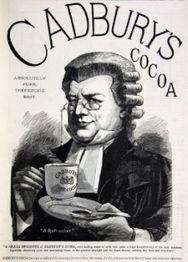 "John Cadbury is desirous of introducing to particular notice 'Cocoa Nibs', prepared by himself, an article affording a most nutritious beverage for breakfast," announced his first advertisement in the Birmingham Gazette in March 1824. He soon established himself as one of the leading cocoa and drinking chocolate traders in Birmingham. 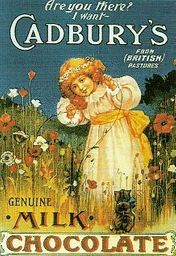 The popularity and growing sales of John Cadbury's cocoa and drinking chocolate of 'superior quality' determined the future direction of the business. John married 26 year-old Priscilla Ann Dymond on 9 Mar 1826 in Exeter, Devon. Sadly, she died the day before their second wedding anniversary, aged just 28. He worked as a member of the Board of Commissioners in 1829 in Birmingham. He fought to bring and end to the business of employing children as Chimney-sweeps. He also supported the causes of Temperance and Peace as well as beginning a campaign against animal cruelty, forming the Animals Friend Society, a forebear of the Royal Society for the Prevention of Cruelty to Animals. Gradually, John became interested in manufacturing, and in 1831, he decided to rent a four storey warehouse (an old malthouse) on Crooked Lane. One of the luxury items he sold was drinking chocolate as well as cocoas. John prepared it by hand by using a pestle and mortar. The laborious production and the high tax on imported cocoa beans means only the rich can afford to drink chocolate. But John hoped his tea, coffee and chocolate would one day provide a mass alternative to alcohol which he believed kept many in poverty. The famous family company he created cared as much for its people as its profits. Like his father, John had a strong sense of social injustice. In particular he campaigned against child exploitation as chimney sweeps and animal cruelty. But in order for his business to tempt people away from alcohol, his chocolate needed to be mass produced. John married 27 year-old Candia Barrow, daughter of George Barrow and Elizabeth Pumphrey, on 24 Jul 1832 in FMH Lancaster. They had seven children. John Cadbury was born on 23 Feb 1834, Richard Cadbury on 29 Aug 1835, Maria on March 13th, 1838, George Cadbury on 19 Sep 1839, Joseph in 1841 ( who only lived 3 days), Edward on March 31st, 1843, and Henry on July 17th,1845. Richard and George would go on to inherit the business. By 1842, John was selling 16 varieties of drinking chocolate and 11 different cocoas. 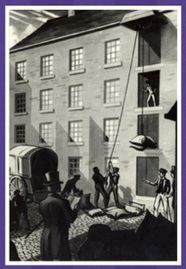 As John's Cadbury’s manufacturing enterprise prospered, his brother Benjamin joined the business in 1848. As the Cadbury brothers' business boomed, it moved into a new, larger factory on Bridge Street that was more central and connected to the canal. They now had access to all major British ports. Fortunately, the taxes that had made cocoa so expensive were cut and so their main product became more affordable. In 1854 Queen Victoria gave them their first Royal Warrant. So Cadburys now had Royal brand approval. But, on the verge of realising his vision, Candia died. Her death in 1855 drove him into a deep depression. 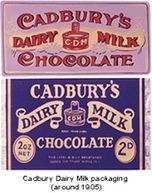 In 1860 the Cadbury’s dissolved their partnership and a demoralised John handed over his deteriorating business to his two sons, Richard and George. 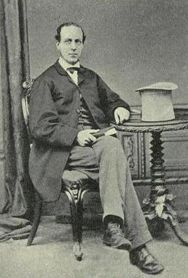 John dedicated the rest of his life to civic and social work until his death on 11 May 1889. George was John's 3rd son, born in Edgbaston, Birmingham. As true to his starsign of virgo as ever a person could be. He was hardworking and serious, and ready to be of service to both his family and humanity at large. At sixteen he was apprenticed to Joseph Rowntree, in York, to learn the grocery trade. However before he could complete his apprenticeship, he returned to Birmingham. The family business was in trouble, due to his father’s depression and declining health following his wife’s death. His elder brother Richard was already working in the business, and Richard and George, both in their early 20s, took over Cadbury's in 1861. The plan was for the artistic Richard to concentrate on sales while the more robust George focused on the manufacturing side. His father had been working on a blend of cocoa and lichen that he hoped would have medicinal properties. George and Richard continued the work and launched the product as “Icelandic Moss”. It was not the success that they had hoped for. 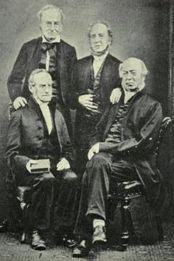 The brothers faced almost daily bankruptcy. They worked long hours to keep the firm solvent, using money left to them by their mother. These long hours, lack of sleep and small profits, made them consider quitting the family business but their Quaker spirit kept them going. George visited a Dutch chocolatier Coenraad van Houten who was able to extract most of the fat from cocoa, which improved the taste significantly. He returned with a defatting machine, which proved to be a great success. Cadbury’s launched their “Absolutely Pure Therefore Best” cocoa essence which ultimately saved the company. Now financially secure, 32 year-old George decided it was time to start a family of his own. 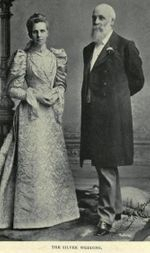 He married 22 year-old Mary Tylor, daughter of Charles Tylor and Gulielma Sparkes, on 14 Mar 1872. Apparently, he had sent her a formal letter containing a business-like proposal of marriage which was not the most romantic of approaches, but all's well that ends well. They had 5 children: Edward, George, Henry Tylor, Eleanor and Mary Isabel. George was a true Quaker. He channelled his energies into creating a successful business that produced a top quality product and treated the workforce well. He believed passionately in equality. He had a dream of a factory in a garden that would be a healthy and pleasant place to work. He and Richard decided to relocate Cadburys away from the city centre, and bought a site four miles from Birmingham, naming it Bournville – village with a stream. They reopened the factory there in 1879. Their factory had warm rooms to dry clothes and places to heat food. In 1893, they started buying land around the factory to build a worker’s village, designed by architect William Alexander Harvey. Each house had a garden big enough to grow vegetables. 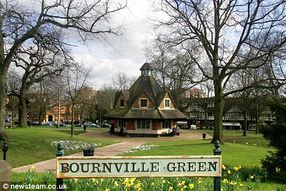 George continued to purchase land and set up the independent Bournville Village Trust in 1900. The previous year, Richard had unexpectedly died at the age of 63, and the business became a private limited company: Cadbury Brothers Limited. The Bournville factory had trebled in size, with more than 2,600 employees. 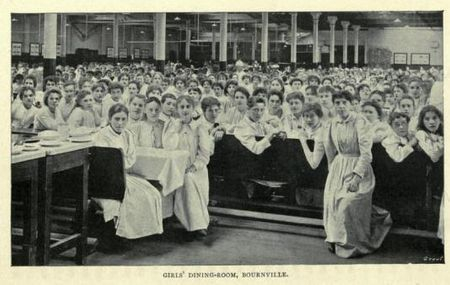 By 1910 The number of employees at Bournville had grown to 5,300. During this time he continued to work to improve the employment conditions for his employees and sick pay and pensions were introduced. In 1887, George's wife died, soon after the birth of their 6th child ( who also died) This left George with a young family to look after. Richard’s daughter Jesse kindly moved in with her uncle to help him with the children. The following year, George went to London and met Dame Elizabeth Mary Taylor, born 4 Jun 1858 in Peckham, and the daughter of John Taylor and Mary Jane Cash. Elsie had helped him some years before with his temperance work, and like George, Elizabeth was a great philanthropist and social reformer. 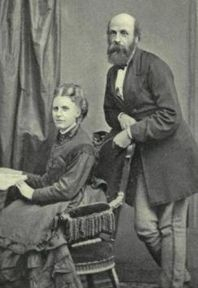 They were married on 19 Jun 1888, and had six children: Laurence John, Elsie Dorothea, Egbert, George Norman, and two others. George was very interested in the adult school movement. As a young man he had taught in an adult school in Birmingham and continued to do so up to the age of seventy two. He liked to cycle to the school on a Sunday morning at about 6.00 am for a Bible class. He taught hundreds of people to read and write and gained a great insight into the conditions of the working classes. He was also very keen to have gardens on his housing estate and to encourage his workers to play sports. In 1901 he obtained a controlling interest in the Daily News and was thus able to give a voice to the Liberal Party. He was vehemently opposed to the Anglo-Boer war in South Africa. He was a strong campaigner against sweatshop labour. 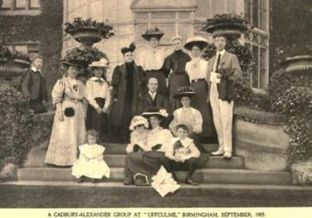 In 1903 he donated his home in Bournville to The Religious Society of Friends. It became Woodbrooke Quaker Study Centre and continues to this day. 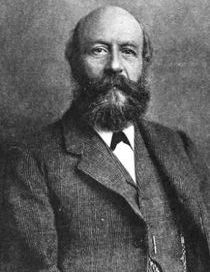 George Cadbury was one of the prime movers in setting up The Birmingham Civic Society in 1918. Cadbury donated the Lickey Hills Country Park to the people of Birmingham. He also donated a large house in Northfield to the Birmingham Cripples Union that was used as a hospital from 1909. It is now called the Royal Orthopaedic Hospital. 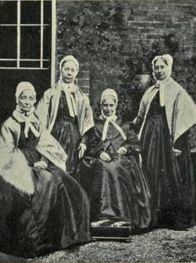 In 1890 he, along with a number of other leading Quakers, helped re-establish Grove House School as Leighton Park School in Reading as the leading Quaker school in Britain. 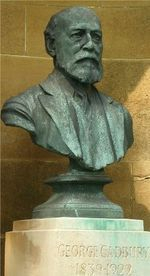 He died at home, Northfield Manor House, on 24 October 1922, aged 83. The Cadburys had helped take on and break the French chocolate monopoly in the 19th Century. Now, in the 20th Century, with their highly motivated workforce, they would take on and compete against the Swiss milk chocolate manufacturers. In 1915, they produce Milk Tray, a chocolate collection affordable enough to be an everyday treat. The district around the factory has been 'dry' for over 100 years, with no alcohol being sold in pubs, bars or shops. Residents have fought to maintain this, winning a court battle in March 2007 with Britain's biggest supermarket chain Tesco, to prevent it selling alcohol in its local outlet. In 2003 Cadbury becomes the world's No 1 confectionery company after buying up various chewing gum brands, such as Trident and Stride. 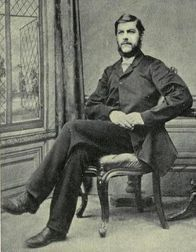 Richard was the second son of John Cadbury. He was born at 17 Frederick Road, Edgbaston, Birmingham. Some information about Richard can be found in George's section, and the rest here. 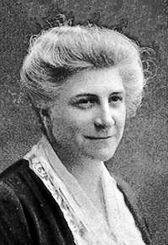 We are indebted to Helen Cadbury Alexander for "Richard Cadbury of Birmingham"which was published in 1906. You can read it online, and I cannot praise it highly enough http://archive.org/stream/richardcadburyof00dixorich#page/n5/mode/2up Much information can be found online regarding George, but it is only Helen's biography of her father that sheds light on an equally wonderful man. As Helen puts it "By all that a man owes to heredity, he came into the world nobly equipped, and the atmosphere of his boyhood was fragrant with the memories of past generations." Helen wrote this of her father in the foreword of her book : "The key-note of his life was love ; he was a genius in the art of loving. His love for God gave balance and sanity to his love for his fellow-men, and was the root of the true humility which was probably his other most striking characteristic." She went on to say that he "threw himself with enthusiastic ardour into everything which he undertook." Later in her book she wrote "He felt intensely that true religion must enter into and influence every detail, however small and trivial, of everyday affairs." Richard like his brother George, was a true philanthropist working all hours to serve both his family and humanity. Bournville Village and other achievements bears testamony to this. Helen describes her father's boyhood in great detail, drawing upon the many letters kept in a Chinese chest, and paints a beautiful picture of rural Edgbaston as it was then. We read of his governess Martha Heath, and of his schooldays at Charlbury School. Blackpool was the family's favourite place to visit. 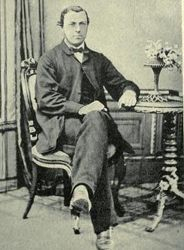 Richard's " free and happy boyhood" ended when he joined the family business in 1850 at the age of 15. 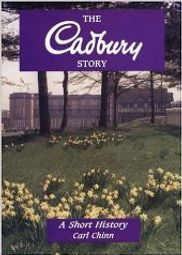 Helen's book provides an insight into life at the Cadbury's factory, and of the pressures that her father and uncle went through. As well as working tirelessly to keep Cadburys afloat, Richard found time to compile a painstaking family history entitled The Cadbury Pedigree. Helen describes it as "a veritable museum of genealogies, maps, original ink and water-colour sketches, silhouettes, prints, photos, paper clippings, ancient signatures and letters, and many other interesting documents, all of which are thickly scattered over a ground-work of closely written matter in his own beautiful handwriting. Clearness, precision, and artistic instinct are evident in the careful arrangement ..." View some of its contents online at https://archive.org/details/cadburypedigree100cadb Richard was an artist throughout his life, using his drawing skills to enhance Cadbury's products or writing poetry and prose for a myriad of purposes. 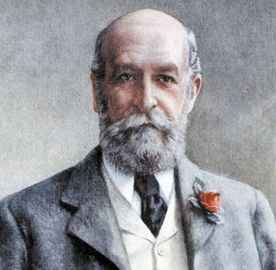 In 1861, John Cadbury retired, passing the business Richard and George. Richard was twenty-five at the time, and George was twenty-one. That year, on 24 July at FMH, Richard married 23 year-old Elizabeth Adlington. She was born on 13/11/1838 to William Adlington and Dorothy Sampson of King's Mill, Mansfield. Richard and Elizabeth moved to 17 Wheeley's Road in Birmingham. They had 5 children: Barrow – born 27/09/1862, Alice – born 06/02/1864 but who died just 7 months old, Jessie – born 07/10/1865, William Adlington – born 17/11/1867, and Richard – born 21/12/1868. 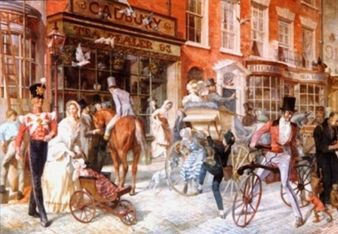 In 1866, there was a major upturn in Richard and George ailing fortunes at Cadburys. They were able to make eating chocolate as opposed to just drinking chocolate. This was due to a new process which extracted cocoa butter from cocoa beans. 1866 was also a very sad year for the family because Richard's eldest brother John, and his younger brother Edward both passed away. John was only 32, and Edward just 22. His youngest brother Henry would pass away nine years later at the age of 30. 1868 would have an even bigger impact on Richard's life. His wife Elizabeth died on December 31st, ten days after giving birth to her fourth child. "New Year's Day dawned upon a bereaved husband, with four motherless little ones, none of whom were old enough to realise the sorrow that had come to them." wrote Helen. Despite his tragic loss, and the pressures of running a company, Richard proved to be as loving a father to his 5 infant children as there could possibly be. He even found time to start a day nursery for local children. On July 25, 1871 he married 25-year-old Emma Wilson, daughter of John Ashlin Wilson and Emma Smith. They were married at Emma's house, and honeymooned in the Lake District. A golden age began for Richard as he enjoyed the happiest of home-lives. They had four children - all daughters - with their first child Edith born on November 6,1872. 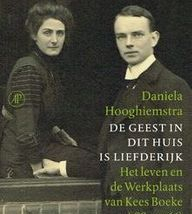 Helen, the writer of his beautiful biography, was their 2nd child, born on 10 Jan 1877. Margaret ( known as Daisy) was born on Nov 19, 1878, and their youngest, Beatrice, was born on 28 April 1884. Like Helen, she lived into her 90s. One of the family's greatest delights was seeing Richard's annual appearance as Father Christmas. The Bournville factory had started in September of 1879, and Richard decided that it was time to leave Edgbaston, and move nearer to Bournville. He decided to rent the beautiful house and estate of Moseley Hall, and a very excited family moved there in 1883. Beatrice's birth a few months later was the icing on the cake! Helen describes their 8 years there as "the completest" in her father's family life. He celebrated his 50th birthday there. His family and his work took up much of his time, but he always found time for those less fortunate than himself, and he continued his charitable and philanthropic work. Richard's eldest son, Barrow, had joined him at Cadburys by this time, sharing the same office for 17 years. Richard's sheer energy and zest for life made him at times hot-headed and impulsive. But as an employer, his heart was always in the right place. Helen wrote in her book " His impulsiveness often led him to do small things that others would not have thought of or have spared the time for." He was an inspiration to the work-force at Bournville as well as to his family. " The buoyancy, hope, and eagerness of youth remained with him to the end." Helen wrote " The years at Moseley Hall, which had brought so much happiness to Richard Cadbury, filled him with a deeper longing, to comfort and cheer other lives." He particularly wanted to found a children's convalescent home with the feeling of it really being 'home' rather than an institution. He and Emma decided that the perfect place was ... Moseley Hall, the freehold of which he bought for £16,450. With that decided, he now needed a new home for himself and his family. After many considerations, he finally decided to build his own. In 1891, Richard and his family moved to Uffculme, and in due course, he handed over Mosely Hall and the grounds to the Mayor of Birmingham. Moseley Hall could be seen from the grounds of Uffculme where he took particular delight in his rockeries. 1892 saw Richard become a grandfather with the birth of Barrow's first child. The same year he published "Cocoa and All About It". 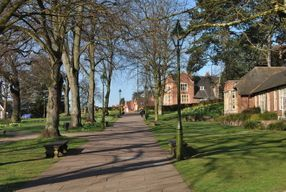 In the last year of his life, Richard Cadbury erected thirty-three almshouses near Bournville. Cadbury's elderly employees would have first option. Sadly, he himself would never reach old age. In 1995, he was asked to stand for Parliament by the Liberal Association. He agreed to do so only if they couldn't find another candidate. In the end they were able to find one. He was a great believer in the importance of Family Holidays, and his favourite destinations included the Malvern Hills, Cornwall, Boulogne, North Wales, Scotland, and the Yorkshire moors. 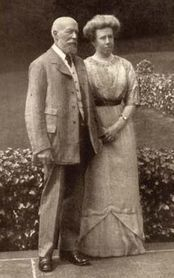 Helen recalls: " The summer of 1894 was the occasion of a tour in Switzerland with his wife and all five daughters. He became known as " the gentleman travelling with six ladies..." Wonderful!!! As a keen Egyptologist, he finally got to see Egypt in 1896, and in due course the Holy Land itself. One can imagine his delight at seeing such places. His last summer holiday was spent in Cornwall. Following his death, a Penzance newspaper wrote: " Many Cornishmen are to-day mourning the loss of one of the best and truest men this world has ever known. His kindly presence, sunny disposition, and boyish light-heartedness endeared him to one and all, and he loved to roam over the downs, cliffs, and shore, chatting with villagers, coastguards, and fishermen. The death of such a man is a national loss, and his life a national lesson. Few men exercised a more far-reaching influence for good ... none will feel more genuine sorrow than those Cornish folk with whom he came into contact during his holiday visits to the Lizard district of the old county." On March 22nd, 1899 in Palestine, with Emma by his side, Richard quietly and peacefully passed away. 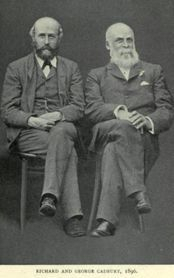 In July, 1899, Hugh W. Strong wrote in The London Quarterly Review: "Without any well-defined sense of the real nature and extent of their communal obligation to this amiable, self- denying, unobtrusive Quaker, men have spoken of him, gratefully and affectionately, as one of the truest philanthropists that ever sought to allay the sufferings and promote the happiness of humanity. . . . The discharge of the high stewardship of wealth to which he held himself called . . . and the devotion of a beautifully selfless nature to the educational, social, moral, and spiritual elevation of the workmen of his own city . . . proclaim Richard Cadbury a leader and a prophet, a man among a million." A fitting tribute indeed to the "prince of philanthropists." Someone else wrote: "His money gifts, great as they were, were not the chief of his gifts to Birmingham. His noble life and the high ideal he set before men, the great example he gave of devotion to duty and of care for the welfare of his fellow men these were gifts of priceless value to the community in which he lived." 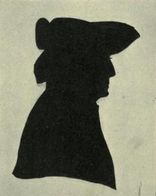 The Licensed Victualler wrote "It may seem out of place in these columns to refer to the death of an eminent Quaker of deep religious convictions, who was also an earnest teetotaler, and opposed to every form of gambling. Mr. Richard Cadbury was, however, an exceptional man, transparently sincere in all things, and while holding his own opinion with the utmost tenacity, tolerant to all those who differed from him ; his charity was boundless. I was once his near neighbour and saw a good deal of him and his family, and was impressed with his infinite gentleness and unobtrusive worth. Birmingham loses in him one of her noblest sons ; but the result of his work in that great city and beyond its borders will be seen for many generations." As Helen says in her beautiful book: Richard literally went about doing good. On September 14, 1904, Helen married evangelist Charles McCallon Alexander, who officially organized the League with Dr. J. Wilbur Chapman in Philadelphia in March 1908. His experience in worldwide evangelism greatly helped the League. Throughout its history, over 100 million pocket-sized Gospels have been shared by its members in every part of the globe. Charles Alexander was born on a farm in Meadow, Tennessee on October 24, 1867, to John D Alexander and Martha McCallon. He was one of four children brought up in the Presbyterian Faith of which his father was an elder. Following his father's death in 1890, his vocation in life was to bring souls to Jesus the Saviour. Charles became a great gospel singer who used to accompany preachers such as R A Torrey and John Wilbur Chapman on tour. You can hear a recording of Charles singing "Glory Song"at https://www.youtube.com/watch?v=FGz6MlC53YM. Norman Field has compiled a list of Charles' nine recordings at his wonderful website (see above) They each date from 1905, and you can listen to five of them there. Explore his site further if you are interested in the history of 78rpm records. Helen helped each night in their gospel meetings as they toured the world, speaking to those with enquiries and seeking salvation. During the five years since her father's passing, Helen had been a devoted companion to her mother, comforting each other in their loss. Now it was time for twenty-seven year old Helen to share the life of another - one as equally devoted to his calling as Helen was. She left England to start her new life with Charles in Tennessee. 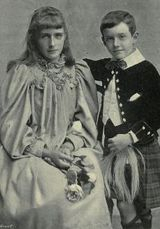 Charles and Helen had one child, a boy, who sadly died within a few hours of his birth in 1911. At http://www.openheaven.com/forums/printer_friendly_posts.asp?TID=14177, Dan Wooding wrote " I called my story, "The First Lady of Tennessee", and she dedicated the rest of her life there to encouraging people to become involved in world missions. And what an example she gave!" You can read more about Helen and Charles in Simon Fox's "Helen Cadbury and Charles M. Alexander: A Love that Embraced the World." Helen received a proposal from Dr. Amzi Clarence Dixon, a friend of Charles, and a fellow evangelist. 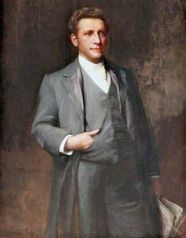 He had been the pastor of the Metropolitan Tabernacle in London from 1911 to 1919. Helen was now forty-seven and Amzi was seventy, and although she hadn't contemplated marrying again, they were married in London on 25th January 1924, and made their home in the United States. Once again Helen found herself touring Europe and the U.S.A. on missions. However Amzi Dixon died in July 1925, and once again Helen was a widow which she remained. She lived the rest of her life in Moor Green Lane, Mosely - in a house fittingly called "Tennessee", continuing her Christian work, and in particular her Pocket Testament League. 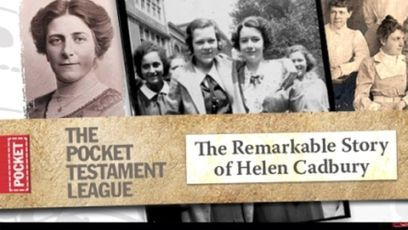 Helen died on 1st March 1969, aged ninety-two. She requested that her house and grounds should be redeveloped as suitable accomodation for the elderly. The name "Tennessee" remains. Beatrice was the youngest of Richard Cadbury’s children, born at Moseley Hall where she lived until she was seven. Then her family moved to Uffculme in Queensbridge Road. As a child she was known as Little B, and later, Betty. She was used to the luxuries of servants and grand houses as well as travel and holidays around the world. This included a tour of Egypt and Israel and Syria when she was 13, staying with Richard’s cousin Caroline Cadbury in Syria, and a world tour in 1906 with her mother, visiting Daisy Cadbury and her husband who were missionaries in China. She spent four years at Fröbel kindergarten, a child-centred, experimental school which believed in learning through play. At the age of 11, she began her formal education at Edgbaston High School for Girls, and later spent 2 years as a boarder at The Mount School, a Quaker school in York. 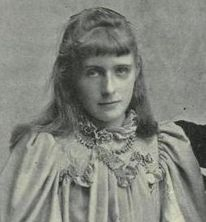 She attended Westfield College, London from 1903 to 1905. In 1907, Beatrice's mother died following a fall. With her father having also died unexpectedly eight years earlier, twenty-three-year old Beatrice had lost both her parents in their early sixties. One wonders how deep an effect this would have had on Beatrice, as the youngest child by six years. 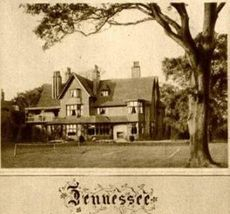 She subsequently moved in with her sister Helen at her home "Tennessee", which was in the grounds of Uffculme. 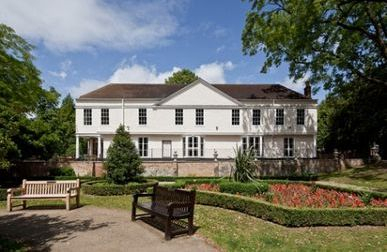 Barrow Cadbury, her eldest brother, who had inherited the Uffculme estate, had turned the main house into an Adult Education Centre in memory of Richard. 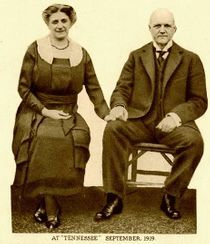 Helen's husband Charles inspired Beatrice to do mission work of her own. She joined the FFMA and served on the Candidate Committee, which appointed missionaries. The FFMA worked in China, India, Madagascar and Syria. She agreed to also serve on the Syria Committee. In January 1912, they travelled to Syria where Kees' efforts in learning Arabic paid dividends in his work. In November 1912, their first child was born, and named after Beatrice's dear sister Helen. Soon afterwards, Beatrice was struck down by Typhoid, and was severely ill for some time. They returned to England while Beatrice recouperated. When they returned to Syria in 1913, Kees was given the job of inspecting day schools in different villages. The outbreak of World War One in 1914 changed everything. Although Beatrice was now Dutch by marriage and Holland was neutral in the war, the British consulate persuaded them that it was in both their own interests and that of their Arab friends if they returned to England. With Beatrice now pregnant, they arrived in Southampton only to find complications with their Dutch papers, and had to stay on the boat. Once sorted, they moved to Helen's house and prepared for the birth of Emma, named after Beatrice's mother. In 1915, they joined the Fellowship of Reconciliation, where different Christian denominations banded together to oppose the war on religious grounds. Their activities included press campaigns and street preaching. Kees became the secretary of the Birmingham branch. Kees decided to take a more active role in peace campaigning and in July 1915 he travelled to Germany at the request of the FOR to meet with German anti-war campaigners. While Kees was away Beatrice was questioned by a policeman because his letters from Holland had been opened and the authorities wanted to know the exact nature of his trip. Beatrice told the policeman that her husband was “carrying out peace work in Europe”. Kees returned in September, and by October was teaching at Woodruffs private school. However, the next year, he found himself having to resign. He told the pupils: " the Germans are our brothers God did not create man that he might kill; the war will find its quickest end when all soldiers lay down their weapons." Not what parents expected to hear about during scripture lessons! Beatrice felt that it was all so unjust on Kees. She also felt it was wrong to live in such luxury at Tennessee given how some were living during the war. So they moved into a smaller house at 52 Anderton Park Road in Moseley. Their friend Eveline Fletcher moved in with them to help with the children. Eveline’s husband Ernest was currently serving a sentence in Prison as a conscientious objector. Kees continued his anti-war preaching, and was moved on several times by the authorities. Beatrice was busy with the Friend’s War Victims Committee, giving support to the families of men detained as enemies. She also handed out leaflets during Kees' speeches whilst pregnant with their fourth child Julia. She once told the children “It speaks much for English freedom of speech that Daddy is able to speak at street corners and in squares without being officially forbidden”. In January 1918 they were sent by the FOR to mobilise the pacifist movement in Welsh mining communities. 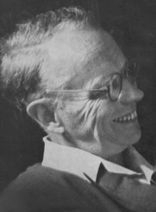 The family moved to Neath, and Kees spoke at many church and chapel meetings. Eventually, he was arrested for causing an obstruction, and sent briefly to Swansea prison. 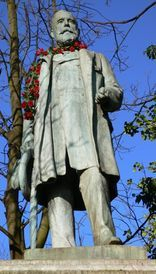 The Birmingham Press jumped on the story, suggesting that Kees – with his Cadburys connection – was too free to do what he wanted back in Birmingham. In February 1918 he was summoned to stand trial for offences against the new Defence of the Realm Act. Kees was ordered to pay a £50 fine or face 41 days imprisonment. Kees would not pay the fine, and so was sentenced to serve out the term at Winston Green Prison. Lord Ilkeston then recommended that he be deported. In April 1918 a Deportation Order was issued and Kees was transferred from Winston Green to Wormwood Scrubs to await deportation. Here he discovered that he was actually suspected of being a German spy. Beatrice struggled to make plans whilst Kees was in London, and their only contact was through fortnightly letters on prison paper. The date for deportation was kept secret. This meant that Beatrice travelled to London on April 9th only to find her husband had been deported the previous day! Kees went to his mother’s house in Alkmaar. His family were finally granted permission to join him, and they set off in July 1918. They eventually settled in Bilthoven, naming their house Het Boschhuis – ‘the house in woods’ On 11th November 1918, the war was finally over. They continued their peace work, actively supported pacifists, and started several European and International peace organizations. 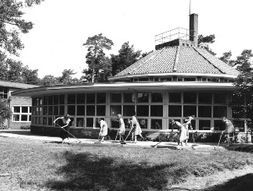 Boeke erected a large conference centre in Bilthoven, which he called "Brotherhood House." The first international peace conference took place there between 4 and 11 October 1919. Their house at Bilthoven became the campaign headquarters for a new world order. For a while, the Boekes abstained from using money and from paying taxes. They were not prepared to see their taxes being spent on weapons. They would pay neither postage, tolls, nor taxes, and they never used public transport. They were imprisoned several times, with one of their seven children being born in prison. On one occasion the Dutch tax authorities auctioned off the estate in order to recover taxes. Queen Wilhelmina purchased Kees' favorite violin, and immediately returned it to him! 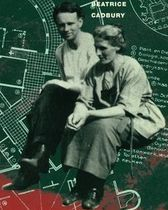 Kees, Beatrice and their friends Ernest and Eveline Fletcher worked with Henry Hodgkin of the FOR to bring together pacifists from across Europe, for a conference at Kees' house in October 1919. There were 35 delegates – both men and women, from 10 countries. Kees and Beatrice were even more determined than before and after a few months of pamphlet making and speech writing, they took to the streets once more to spread their message, despite their applications for permits being rejected. Once Kees began to speak, himself, Beatrice and Ernest who had accompanied them were all quickly arrested and fined for preaching without a permit. The real trouble began when they refused to pay their fines – after all they believed they had done nothing wrong, and so were ordered to appear in court the following week. All three were given prison sentences – Kees and Ernest for three weeks, and Beatrice for two weeks. This was a complete shock to all because at that time Beatrice was 8 months pregnant! Beatrice suffered from claustrophobia in her cell alone at night, and could not bend down to the grate which was the only source of fresh air. Candia was born on the 6th May 1920, eight days after Kees was released from prison. The Cadbury family were very worried, but worse was to follow. Despite using her wealth for many good causes –Beatrice felt increasingly guilty about her wealth. 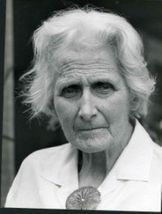 She would go on to decide to gift her shares in Cadbury to the workers – giving workers power to affect company policy and money to spend as they saw fit on advancing the cause of peace. They would also stop paying taxes, give up using money and instigate an open-door policy in their home. 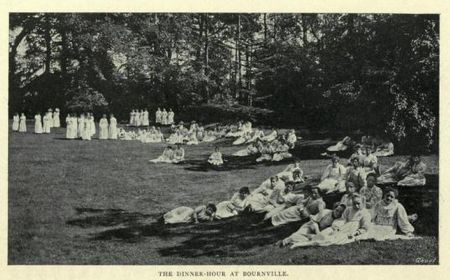 In 1921, Beatrice declared her intention to give away her preference shares to the workers at Bournville. Since inheriting her fortune in 1905, Beatrice had already given some of her money to various charitable organizations such as the Quaker-Help Organisation in Russia in 1920. 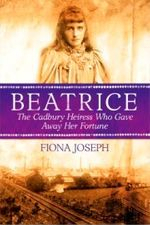 Richard Cadbury's philanthropic and charity work had shown Beatrice that there were many people who had much less than she had, and she had felt ill at ease. She was unable to reconcile her social advantages and great personal wealth, which she had inherited in 1905, with the poverty and inequality she had seen all around her in Birmingham, and then on her travels around the world. 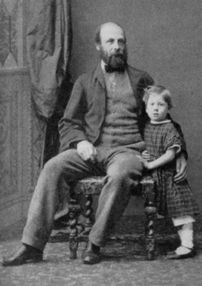 Richard Cadbury , had addressed such issues in his philanthropic way; his daughter Beatrice had chosen another way. "... not so much rags-to-riches as riches-to-rags" as Fiona put it in an interview, following her much-praised biography about her " The Cadbury heiress who gave away her fortune." Fiona went on to say " My favourite part is when some readers may begin to lose sympathy with Beatrice and her ideals. She really did take her convictions to the extreme! But the final quarter of the book turns around when she realises she has to compromise. My editor and another early reader confessed to feeling quite emotional when reading the final lines of the book." Giving away her shares was Beatrice's way of making a stand against Capitalism and injustice. Her family was aghast, believing that Cadburys had always contributed to the social good. 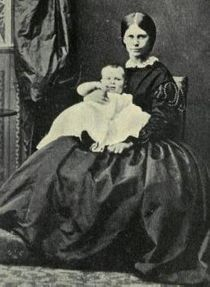 The Bournville works council was also concerned for Beatrice and Kees' children. The Boeke Trust was set up to manage the income from those shares for charitable purposes. Kees was pursued for tax evasion, while the whole family slid into poverty, reduced to camping in the woods and foraging for food. Only secret use of Boeke Trust money, made without Beatrice’s knowledge, saved them from starvation. By 1926, it was time to save Beatrice and Kees from themselves. 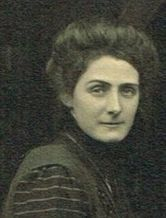 Her brother Barrow Cadbury launched a rescue mission from Bournville, and found the family a house in Bilthoven. Kees opened a school there in 1926 - “De werkplaats”- in which the children were let in on decisions concerning school. They determined their own lessons and speed of progress. He called this process sociocracy. He designated school as a workshop, with teachers as employees and pupils as workers. Children also had to perform tasks such as cleaning the school, gardening to grow vegetables and fruits, and aid with cooking lunch. The goal of this form of education was to teach children a sense of democracy. It was also based on Quaker ideas and on Maria Montessori's ideas. Kees ran the school until 1954, and he and Beatrice took its message around the globe. The Dutch queen Juliana sent her daughters there, including the future Queen Beatrix who later said that she didn't really enjoy it. They had eight children in total: Helen, Emma, Paula, Julia, Candia, Daniel, Theodora and Marian. 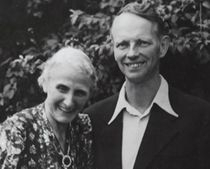 Beatrice and Kees Boeke remained true to their commitment to create a better society, in which Christian values would ensure that conflict was unthinkable. 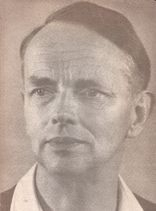 Kees died on 3 July 1966 at the age of 81. Beatrice passed away on 13 February 1976, aged 91.